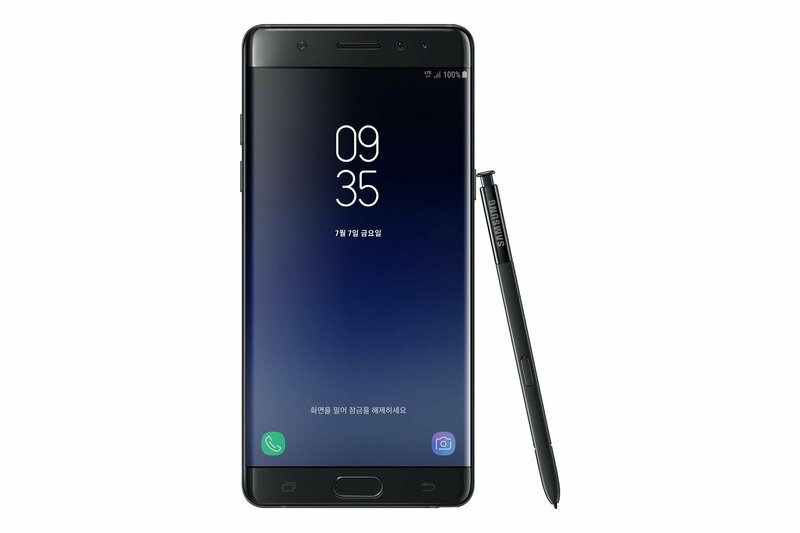 Many have been hoping that the Samsung Galaxy Note 8 will arrive with a fingerprint sensor embedded into the display, given all the rumours surrounding that tidbit for months. Well before the Note 8 even broke cover, a new leak suggests that the company is working on integrating the under-display feature in the next year’s Galaxy Note 9. Analysts at KGI Securities have released a report on Samsung’s plan for 2018, and according to one of the analysts at the company, Ming-Chi Kuo, the Galaxy Note 9 will be the first Samsung smartphone to appear with an in-display fingerprint scanner. Interestingly, such an arrangement with the biometric sensor was rumoured to be seen on the upcoming Samsung Galaxy S8 and Galaxy S8+, but the company seems to have failed to overcome the tech issues in implementing the same. It may be early days and far from confirmed, but KGI usually has its finger on the pulse of the smartphone supply chain, so this information might be of some worth. The report also claims that the South-Korean smartphone manufacturing giant will be replacing biometric supplier Synaptics with Egis next year before the Note 9’s launch. Highlighting the need for new features and selling points on the Note 9, analysts say that Egis will most likely become the largest fingerprint IC supplier to Samsung next year. The company’s rival, Apple, has reportedly given up on trying to embed the fingerprint sensor into the display of its devices and the upcoming iPhone 8 is expected to feature a TouchID sensor around the back of the device. Despite these reports, it is worth noting that the Samsung Galaxy S9 and S9+ will most probably retain the integrated fingerprint sensor. However, the placement of it might be repositioned for more ergonomic reasons. The Samsung Galaxy S9 is said to come with an upgraded iris recognition and an improved dual-camera setup to woo Samsung fans into purchasing the phone. The Samsung Galaxy S9 and S9+ are expected to be launched in early 2018 while the Note 9 is slated for release in the third quarter of 2018. On the other hand, Vivo and Sharp have been seemingly successful in integrating the fingerprint sensor under the display of their upcoming smartphones – Vivo Xplay 7 and Sharp Aquos S2 respectively. my NOMU Smartphone also supports. But I am still thinking about buying Galaxy Note 9. NOMU for work, and this one for life.